Chardham package gives you best service for badrinath yatra Package with valley of flower ex Haridwar for 05 night 06 days with deluxe or luxury range. There are also serve the best view of flower. 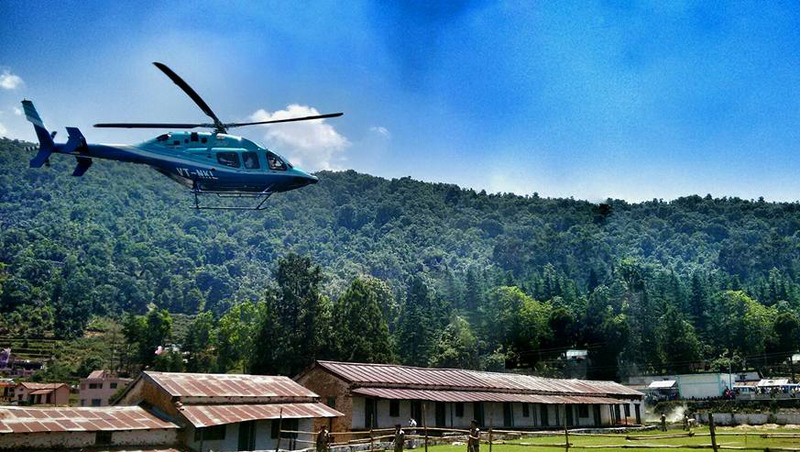 Chardham package provide Helicopter service from Govindghat to Ghanghariya.You can also use horse & Doli for valley of flower. Day 01: Haridwar Joshimath (255kms/9-10 hrs drive) Height: 3133 MTS. Morning after breakfast, drive to Joshimath (07:00 Am). Check in to the hotel after arrival. Day free for rest. Overnight stay at Govndghat. 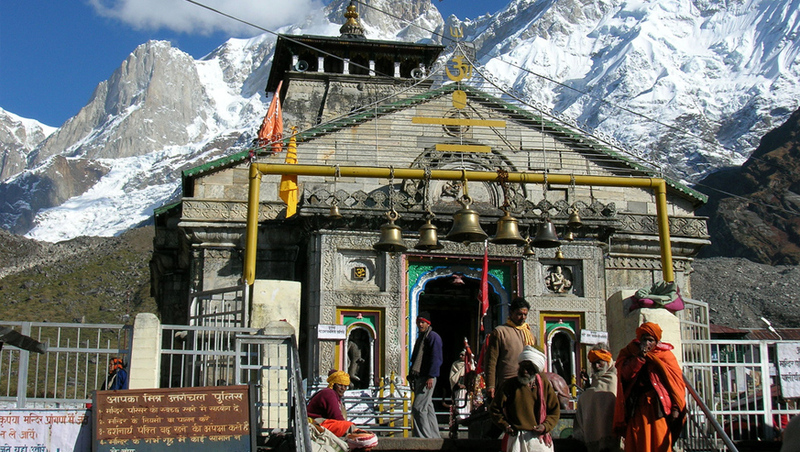 Day 02: Joshimath Govindghat Ghangaria (14kms/ 1 hrs drive)Height: 895 MTS. Morning after breakfast, drive for Govindghat & Start your trek for Ghangaria. Arrival at ghanghariya check n your hotel. Day free for rest. Overnight at Ghangharirya. Overnight stay at Ghanghariya. 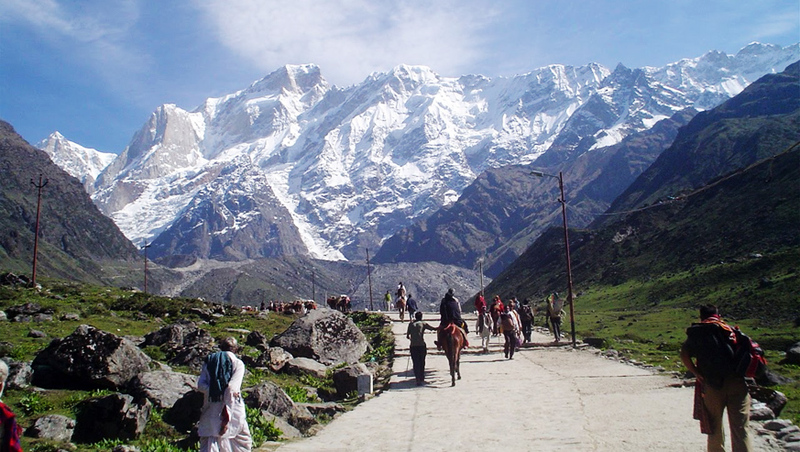 Ghangaria : Ghangaria is a small village on the way to Hemkund Sahib, a popular pilgrimage site for Sikhs which is about 6 km from here and the Valley of Flowers, a national park known for its variety of flowers about 3 km from here. It is located in the northern Himalayan ranges at an altitude of 3049 meters in Uttarakhand state of India. Ghangaria is situated at the confluence of the rivers Bhyundar Ganga and Pushpawati, which forms Lakshman Ganga, that later meets the river Alaknanda at Govindghat. It is the last human habitation in the Bhyundar valley. 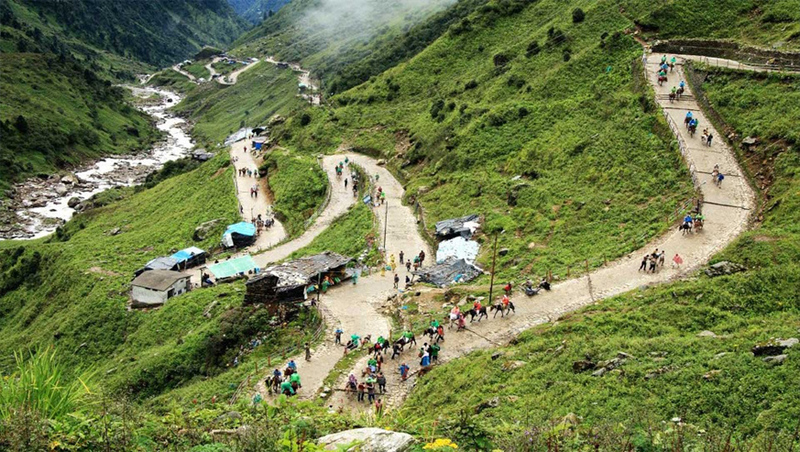 This place is usually used by travelers as a base camp to visit Hemkund and Valley of flowers. It is only open from May till September. The rest of the year, the valley is covered under snow. Day 03: Ghangaria Valley of Flower Ghangaria. Morning after breakfast start trek for Valley of flower. There is many types of flower. Later back to your hotel in ghangaria. Day 04 : Ghangaria Govindghat Badrinath (160kms/7hr) Height: 3133 MTS. 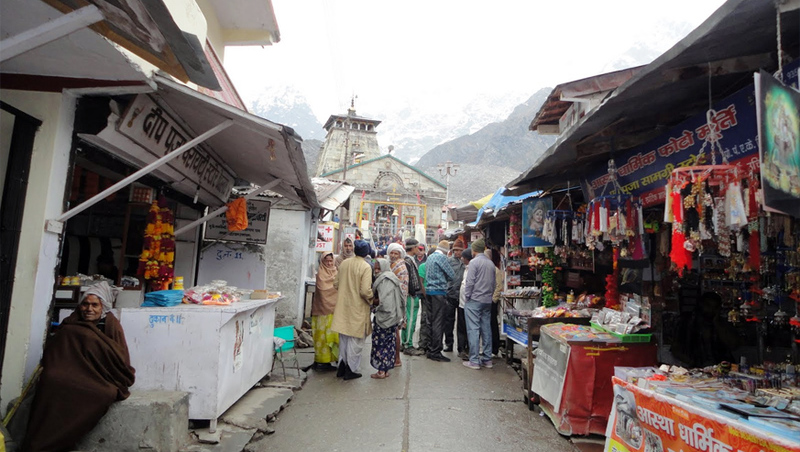 Day 05 : Badrinath Joshimath Rudraprayag (160kms/7hr) Height: 895 MTS. Day 06 :Rudraprayag Haridwar (165kms/5-6hr). Morning after breakfast, drive for Haridwar via Rishikesh. Rishikesh 'place of sages' is a celebrated spiritual town on the bank of Ganga and is surrounded by Shivalik range of the Himalayas on three sides. It is said that when Raibhya Rishi did hard penances, God appeared by the name of " Hrishikesh " and this area hence firth came to be known as Rishikesh. Check in Hotel. Later visit Rishikesh Temples & Sight Seeing – Laxman Jhulla, Ram Jhulla. Overnight stay at Haridwar.